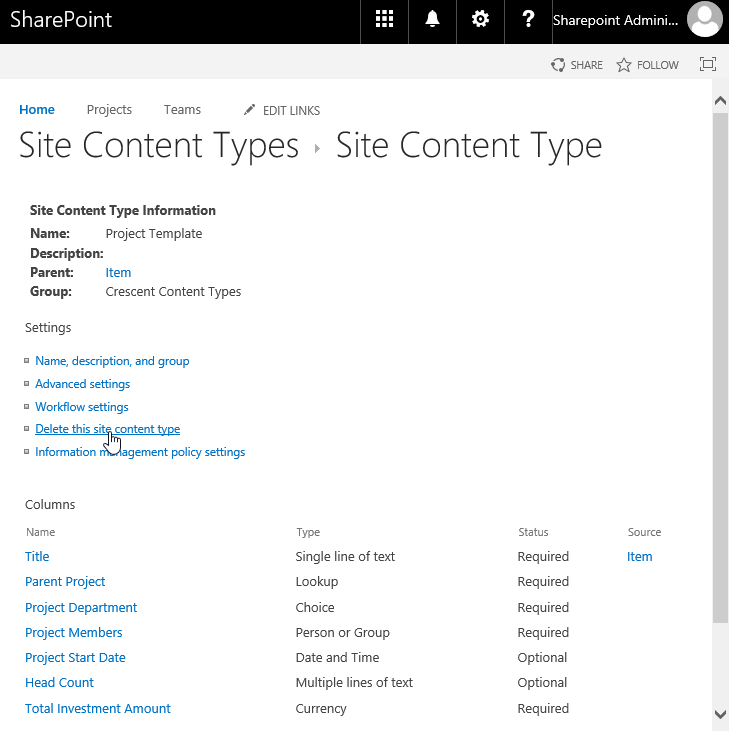 Requirement: SharePoint Online Delete Content Type from site. How to delete content type in SharePoint Online? Under Site Content Types page, Click on the name of your content type you wish to delete. Click on "Delete this site content type " link and confirm the prompt once. Here is the PowerShell to delete content type in SharePoint Online. Cannot Delete Content Type in SharePoint Online?